There’s a reason why your dreams may be filled with steaming bowls of soup: With temperatures dropping, there are few things more comforting than sipping on something that can warm you up from the inside, out (sorry, cashmere throw). But if you’d like to stay away from the pre-made stuff (often packed with sodium, among other not-so-desirable ingredients) and can’t spend your Sundays dedicated to recreating Grandma’s secret, highly intensive recipe, there’s piping hot hope for you yet. These 12 soups are full of quinoa, turmeric, avocado, and plenty of other nutritious, delicious superfoods. Even better? They can all be made in under 30 minutes. Concerned about the amount of processed oils and sodium in the version found on supermarket shelves, The Veggie Primer turned one of her store-bought favorites into a homemade staple. Just chop, simmer, and blend—that’s all it takes to make this quick and easy (vegan!) soup. Ginger helps to settle the stomach when pesky winter viruses take hold, while carrots and butternut squash are packed with vitamins. It typically takes hours to make this traditional Vietnamese soup, but Pixel Sprout‘s Sam figured out a way to make a meatless version full of veggies and spices in a half hour. The secret? The garlic, ginger, star anise, and cinnamon sticks are key to infusing this quickie pho with flavor. “It is warm, comforting and downright delicious,” she writes, adding, “Pho cures all.” Try it yourself and see if you agree. The One Ingredient Chef believes that “if you really want to cook healthy, you can do it in less time than it takes to go through a drive-through,” and he’s willing to prove it. 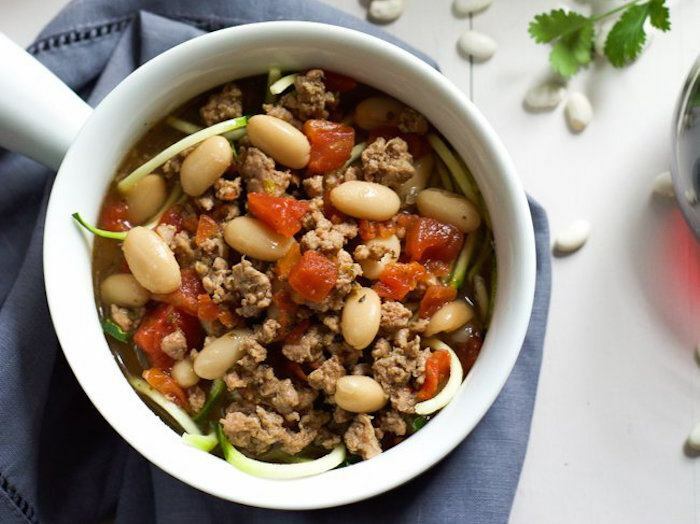 In under 10 minutes, you can have this protein-rich, fiber-packed bowl of soup on the table. Having guests over? Leave out the vegetable broth and serve with corn chips for a healthy appetizer. Don’t you love a recipe that multi-tasks?! If in your mind winter is synonymous with broth-y, noodle soups—but you also want to amp up the nutritional value of this comfort food, Caravan of Style‘s broth bowl has got you covered. Hearty and warm, but packed with good-for-you ingredients like quinoa, mushrooms, spinach, and bok choy, this soup will keep the cold—and colds!— away. Tell mom you’ve got the soup thing covered this year. Creamy soups don’t have to be heavy on the, well, cream. Take this flavorful, East Asian-inspired soup, which gets a healthier dose of fats from coconut and peanuts instead. We also love the fresh ginger for a superfood, immunity-building boost. Noodles in soup? Try zoodles in soup! Not only do they add an extra serving of veggies, but they also cut down on cooking time. “Since zucchinis are delicate and don’t take much for them to cook, they are simply heated by the heat of the soup,” writes With Salt & Wit‘s Megan. And since we’re striving for simplicity here, we love that this is a one-bowl recipe… less cooking and dish-washing time is a serious win-win. 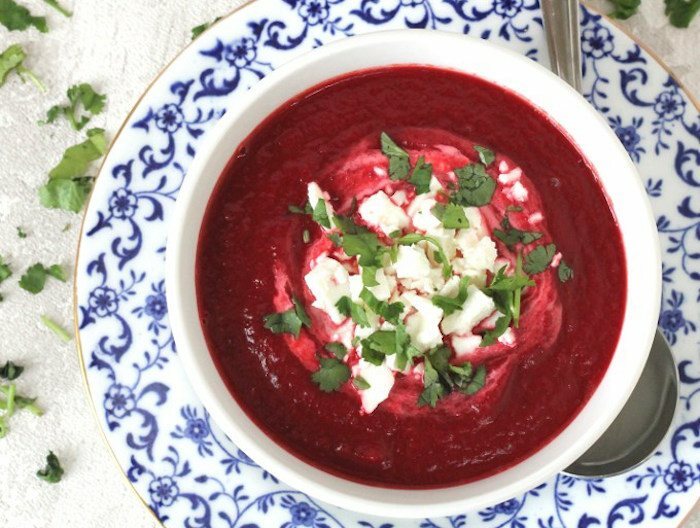 This beautiful red soup (hello, Instagram) is just as nutritious as it is gorgeous. “Beetroot is an excellent source of vitamins A, B6, and C, potassium, magnesium, iron, and folic acid. It is also rich in powerful antioxidents and fibre [sic],” writes food blogger Ciara of My Fussy Eater. She promises that this soup is fussy-eater approved, so don’t be afraid to serve it up at your next dinner party. What’s the Tasty Mediterraneo‘s reason for preparing meals at home? “There are so many hidden and unnecessary ingredients and chemicals on a prepared food label,” she writes, “I believe it is worth having a little bit of patience and preparing a healthy meal at home from scratch.” Sounds good… but what if you’ve got bootcamp and brunch already booked for the day, and can’t commit to spending an entire day in the kitchen? 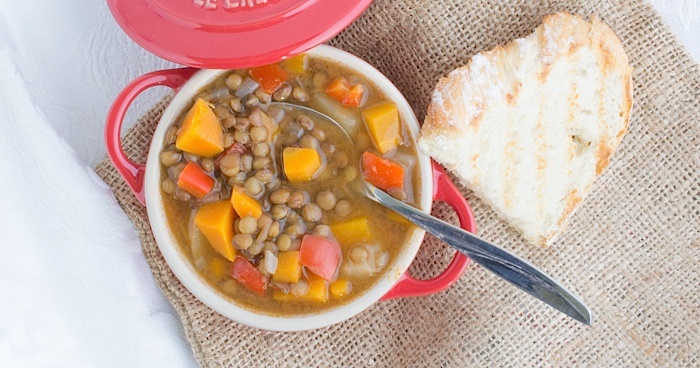 You can still reap the benefits of this fresh lentil and veggie soup, which is ready in just three short steps. If you can’t commit to cooking for 30 minutes, how about 20? 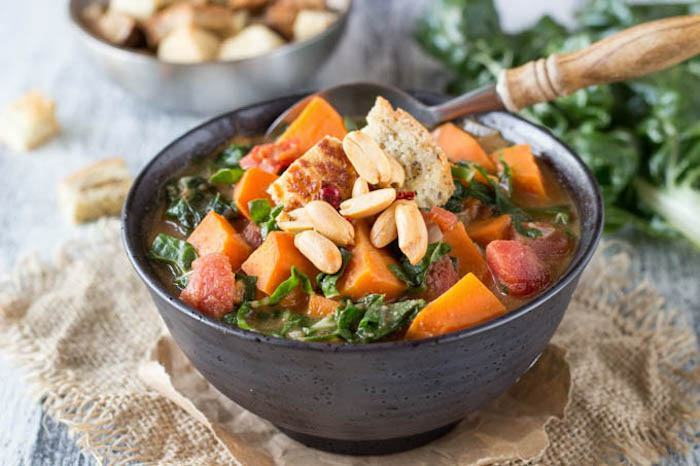 Swiss chard, ginger, and sweet potato are just some of the superfoods that make this healthy, hearty, and super-speedy soup so tasty. The addition of cumin and coriander will keep you warm on the coldest of winter days. One pot, 20 minutes, done. Hello homemade meal, goodbye excuses. 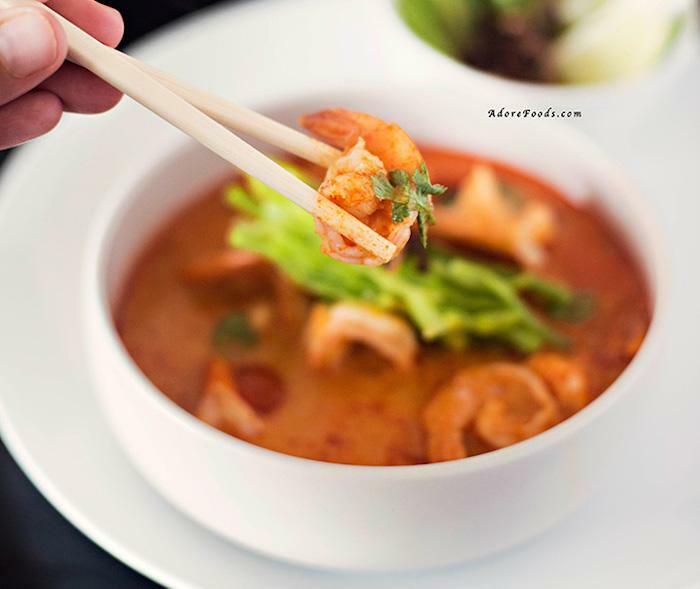 Craving takeout from the Thai place around the corner? 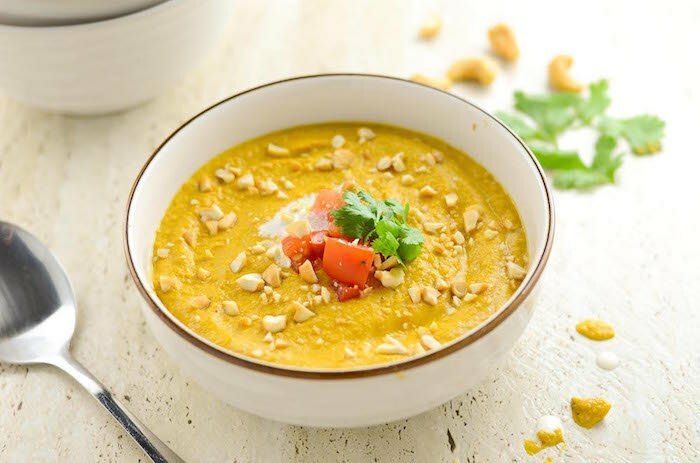 Before Seamless would even arrive with your order, you could whip up this exotic, flavorful soup from Adore Foods. Fresh veggies and shrimp give the soup some heft, while coconut milk and curry paste add mega-flavor. Oh, and you don’t have to worry about tipping the delivery guy.